*What Shape Pliers Do You Want? 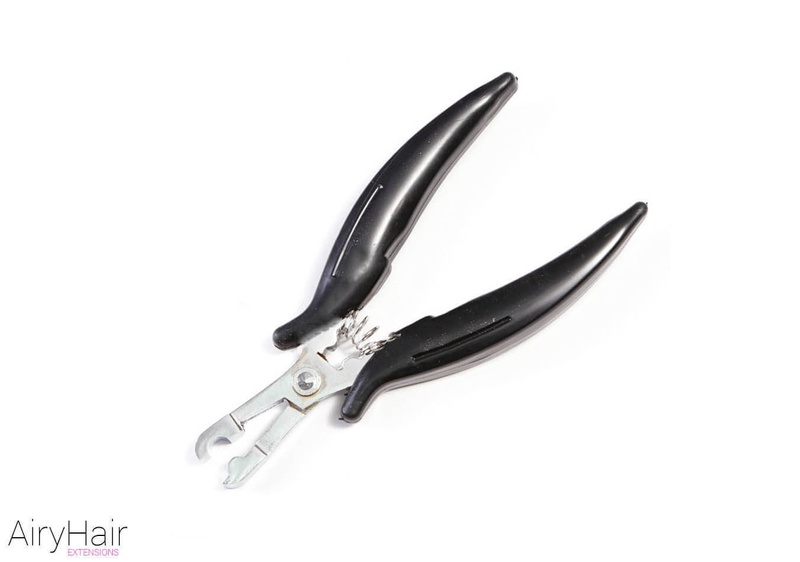 High quality pliers, used for applying and removing different types of hair extensions. There a three different models you can choose from, depending on your needs. If you own a hair salon, it is advisable to have all three on-hand. Using high quality extensions is something everybody strives for, but having the right tools can also make a huge difference. 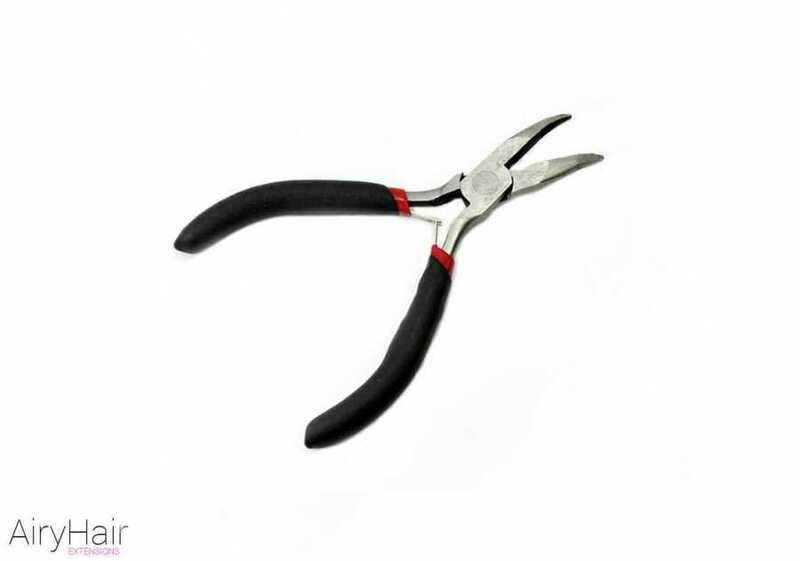 If you’re using low-quality pliers or don’t use them at all, the extension installation process will be very difficult and will not yield good results. That is why these are the tools you should definitely have ready at your salon. It shows your clients that you’re a professional and are equipped with everything that you need to do an amazing job. Hair extensions pliers have many different uses and will definitely come in handy. Order now to make sure that you have top quality equipment in your salon and ensure your client’s satisfaction! How to Use Pliers with Micro or Nano Ring Hair Extensions? 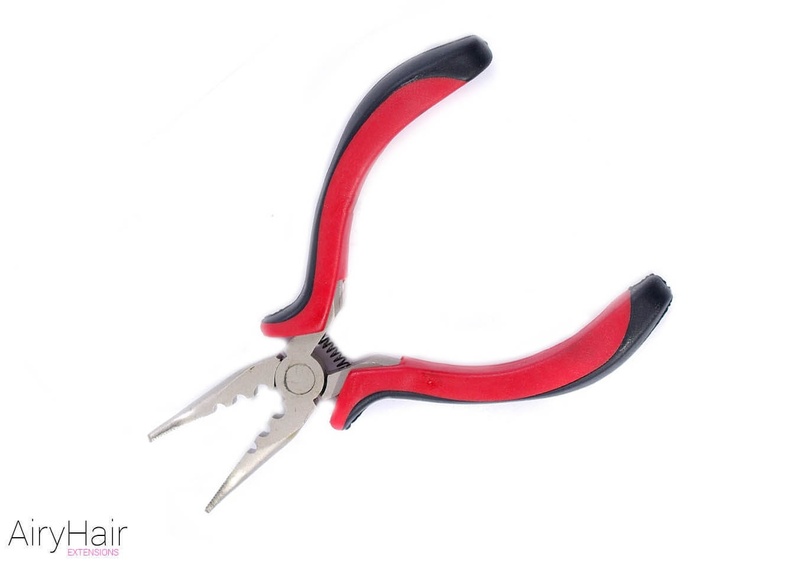 Pliers can be used for application and removal of micro and nano rings. For this, make sure to pick the flat shape. During the installation, the beads are squeezed tight with this tool, ensuring that they stay in place for a long time. The removal also requires squeezing of the rings to enable the hair to come right off. Since this process is repeated dozens of times, it is important to have high quality pliers because you’re going to be using them a lot. It would be very unprofessional if your tool falls apart during the application process, so make sure to order high quality AiryHair pliers for micro rings. How to Remove Keratin or Fusion Bonds? AiryHair U shape pliers are used for the removal of fusion extensions. Keratin bonds are glued onto the hair using heat, but when the hair grows out, it is time to take them out. The removal process is very simple if you own a pair of fusion crushing pliers. The bonds are saturated with a liquid remover which contains a high level of acetone. Then the bonds are crushed with the pliers and the fusion will turn into a fine white powder that you comb right off. If you own the right tools, the process is actually pretty simple and will not damage the hair. • Free worldwide shipping: your item will be sent by registered air mail and you can expect it to arrive from 10 to 30 days. We handle all of our items within a day and dispatch them after we have verified the payment. In case of events that are not in our control, the handling could take up to three days. Have any questions or inquires? Please click here to contact us!